The Berkshire Hathaway annual letter is out, and Warren Buffett again finds new ways to preach what he's been saying for 50 years. Such consistency has paid off for Buffett: A jaw-dropping return of 1,826,163% over the past half century. That's an average annual gain of 21.6%, compared to 9.9% for the S&P 500. 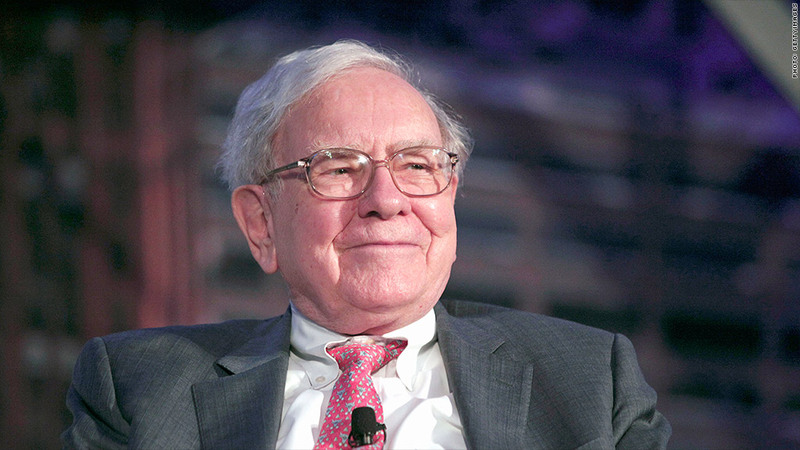 You probably can't do as well as Buffett -- he's got a lot of advantages you don't -- but his advice can get you a lot of the way to reaching your goals. 1. "America's best days lie ahead"
Remember 2008, the early days of the Great Recession? A lot of people couldn't imagine better days ahead, got scared and sold their stocks. A massive rally of 200% followed for those with the courage to ride out the tough times. Buffett and his partner Charlie Munger held strong, and took the opportunity to pick up bargains. True, they're billionaires and can better afford to do so. But it's a lesson for all of us. "Charlie and I have always considered a "bet" on ever-rising U.S. prosperity to be very close to a sure thing. Though the preachers of pessimism prattle endlessly about America's problems, I've never seen one who wishes to emigrate (though I can think of a few for whom I would happily buy a one-way ticket). Most assuredly, America's best days lie ahead." Sure, stocks can take you on some scary rides. Bad years with losses of 10% or 20% come around often enough. Specific stocks you own might go to zero if you were really speculating. But Buffett spends some time telling investors not to mistake those ups-and-downs with risk -- provided you build a diversified portfolio of established companies, and are saving for the long term. Here's Buffett: "It has been far safer to invest in a diversified collection of American businesses than to invest in securities -- Treasuries, for example -- whose values have been tied to American currency. That was also true in the preceding half-century, a period including the Great Depression and two world wars. Investors should heed this history. To one degree or another it is almost certain to be repeated during the next century." Buffett helpfully outlines the mistakes that will undermine stocks' potential: "Investors, of course, can, by their own behavior, make stock ownership highly risky. And many do. Active trading, attempts to "time" market movements, inadequate diversification, the payment of high and unnecessary fees to managers and advisors, and the use of borrowed money can destroy the decent returns that a life-long owner of equities would otherwise enjoy." 3. Don't listen to the "experts." What are the top strategists saying now? Who cares? "Anything can happen anytime in markets," writes Buffett. "And no advisor, economist, or TV commentator -- and definitely not Charlie nor I -- can tell you when chaos will occur. Market forecasters will fill your ear but will never fill your wallet." Sometimes you know the right thing to do, but it just "feels" better to go slow. Even Buffett is vulnerable to that behavior, and he says it cost him in 2014 with his investment in Tesco, the British supermarket chain. "In 2013, I soured somewhat on the company's then-management and sold 114 million shares, realizing a profit of $43 million. My leisurely pace in making sales would prove expensive. Charlie calls this sort of behavior "thumb-sucking." "During 2014, Tesco's problems worsened by the month. The company's market share fell, its margins contracted and accounting problems surfaced. In the world of business, bad news often surfaces serially: You see a cockroach in your kitchen; as the days go by, you meet his relatives." Buffett finally got out completely, but ended up with a loss of more than $400 million.